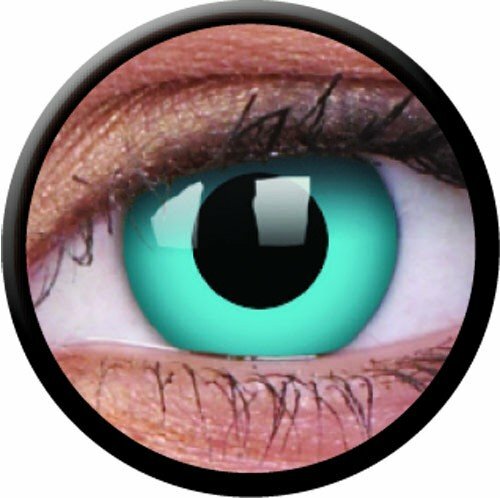 Bold and intense, these Sky Blue contact lenses are perfect for Halloween. These lenses are great for adding a very intense blue to your eyes. They look very dramatic and will really make your eyes stand out.